Experts have long known that people with RA are more likely to develop heart disease, even when they don’t show signs of coronary artery disease (characterized by stiff and clogged arteries). Now a new small study, published in Arthritis and Rheumatology, offers a possible explanation. 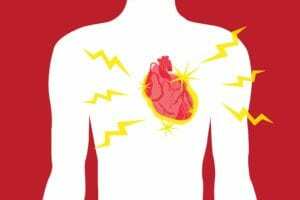 Researchers at Columbia University in New York took a group of 119 RA patients who did not have known heart disease and used imaging tests (PET scans with a radioactive tracer) to assess inflammation of the heart muscle itself. They also ran the same tests on 27 healthy control subjects. They found that the RA patients were more apt to have signs of inflammation of the heart compared to the healthy people, but also that inflammation was correlated with RA disease activity. Those with a Clinical Disease Activity Index (CDAI) measurement of 10 or higher were significantly more likely than those with a lower CDAI score to have a substantial amount of heart inflammation. Interestingly, RA patients who were using abatacept (Orencia) tended to have lower levels of heart inflammation, though it’s not clear whether the medication itself was responsible for this benefit. The authors noted that more research is needed, but said that controlling RA disease activity is probably most important (regardless of which medications you take). They added that a “step-up” approach to RA treatment — starting with methotrexate and adding additional drugs as needed to reach low disease activity or remission — may turn out to help your heart as well as your joints.